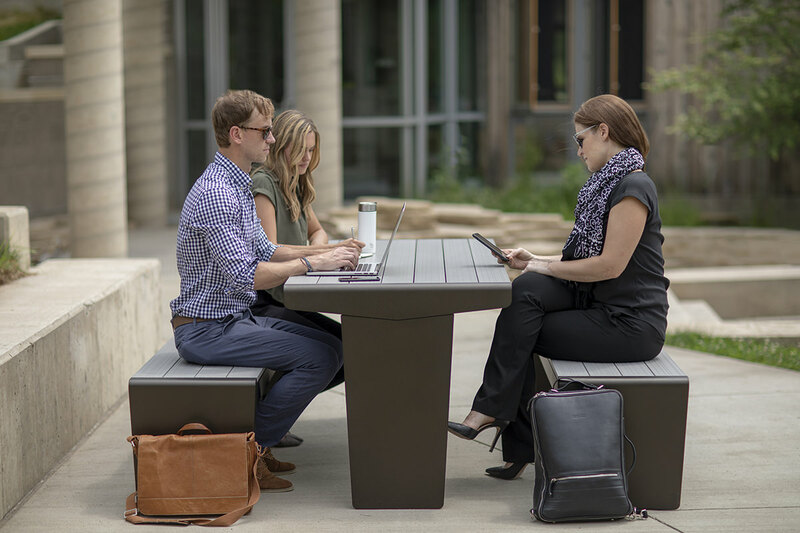 Designed to coordinate with our Vector Seating System, the Vector Table Ensemble expands the line’s reach and offers matching material options. 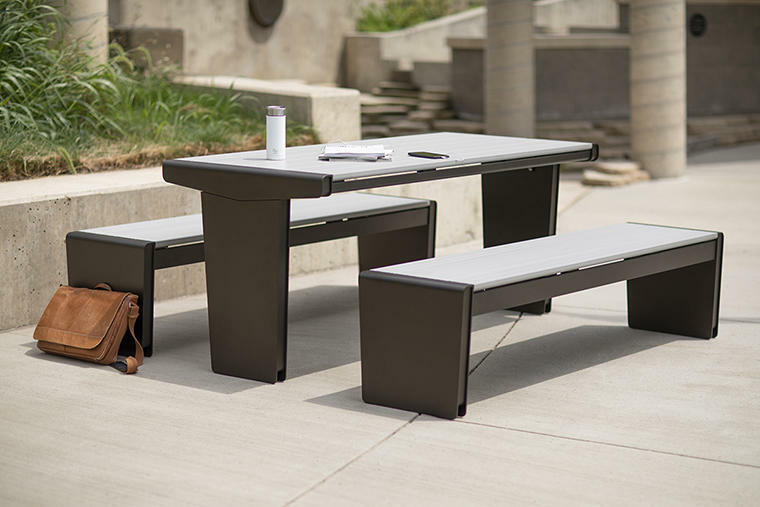 Vector Table Ensembles include a table and two matching benches, all in 6’ lengths. An ADA-compliant configuration with one shorter 24” bench permits unhindered wheelchair access to the table. 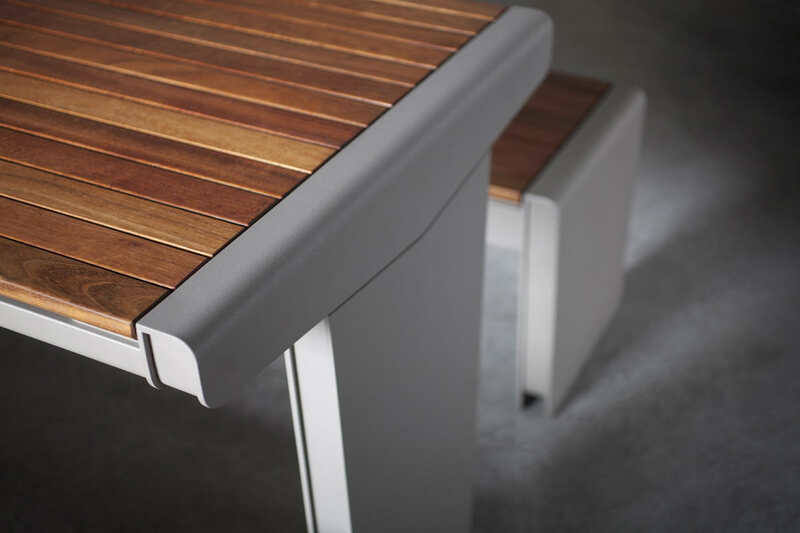 Ensemble benches can be specified with optional seat backs. 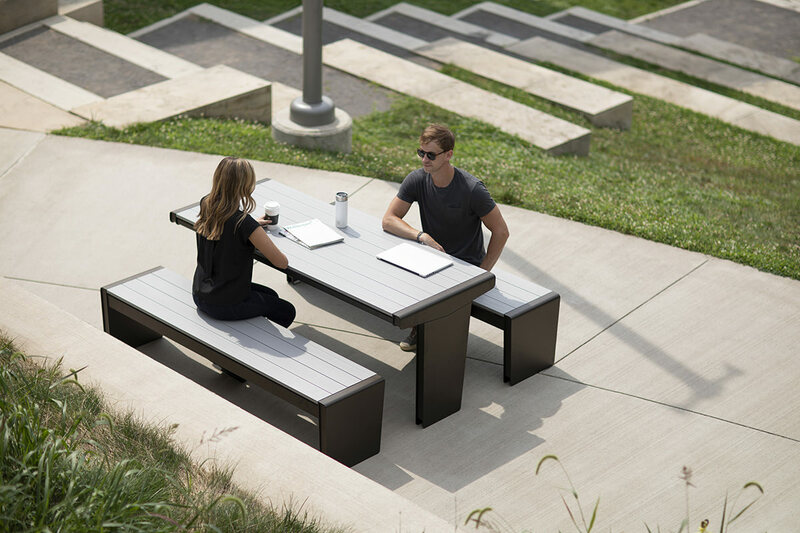 Like the Vector Seating System, Vector Table Ensembles pair powdercoated aluminum frames with slats of FSC® 100% Jatoba hardwood or extruded aluminum—both beautifully durable combinations. 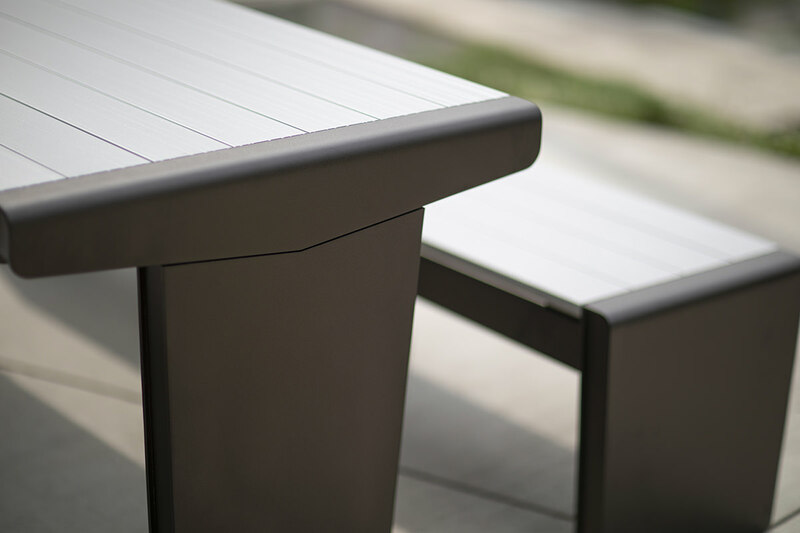 The Ensemble’s powdercoated aluminum slats (7 per table, 4 per bench) have a lightly grooved surface for enhanced appearance and a non-slip feel. The FSC® 100% Jatoba hardwood slats (14 per table, 8 per bench) have a natural oiled finish that brings out the wood's rich color. 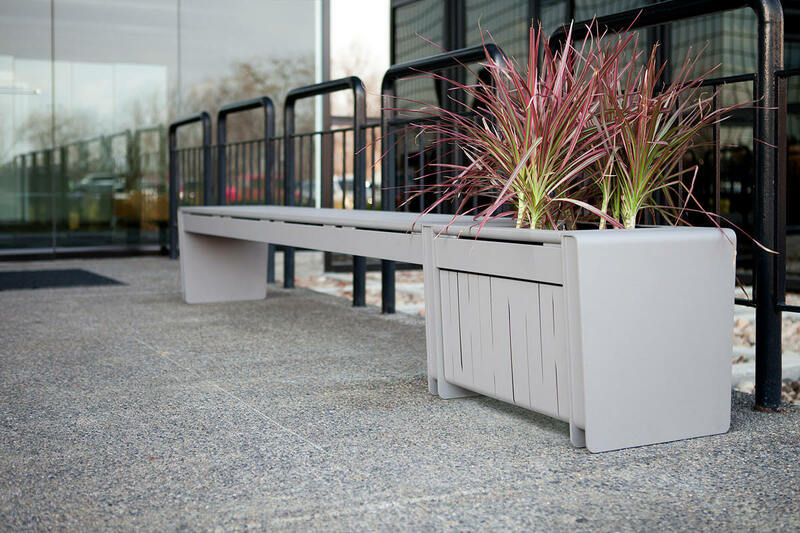 The Vector Seating System is a modular, highly customizable line that allows you to mix interchangeable bench and planter modules, choose from a variety of standard materials and finishes, and personalize seating layouts with optional seat backs and dividers, LED accent lighting, and more. 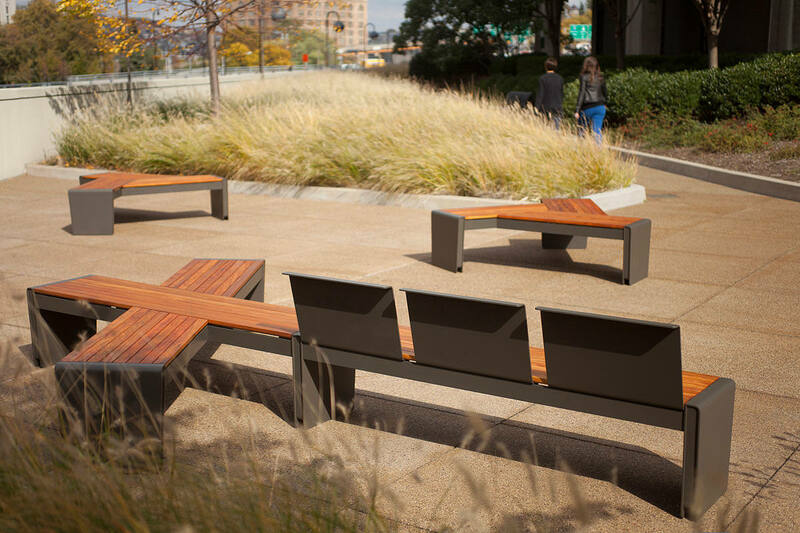 Vector Seating System modules include linear benches in 2-, 4-, 6- and 8-foot lengths, two 120° angled benches, and a planter. The interchangeable modules can be ganged in straight runs of virtually any length or branch out in different directions to meet project-specific needs. 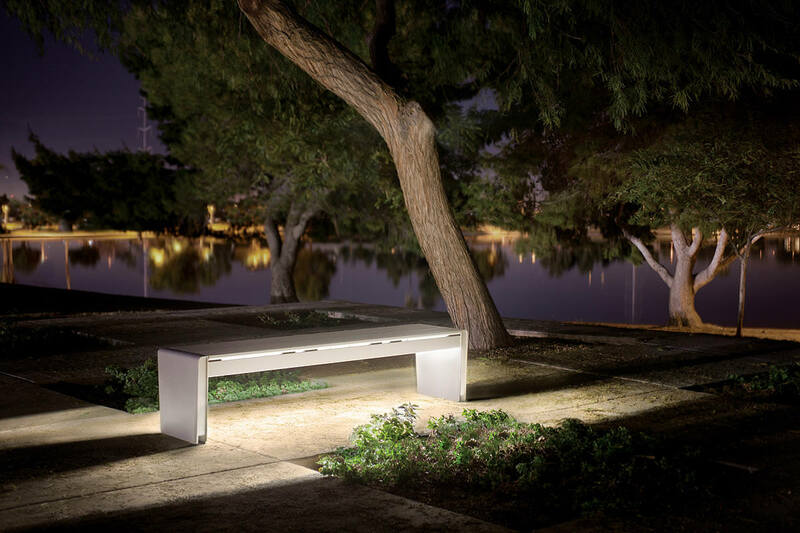 Optional LED accent lighting below the bench seats offers site-specific illumination and can help meet wayfinding needs. Vector’s beauty extends from its minimalist visual appeal to its palette of standard options that give you custom-solution flexibility without the costs and challenges often associated with custom projects. 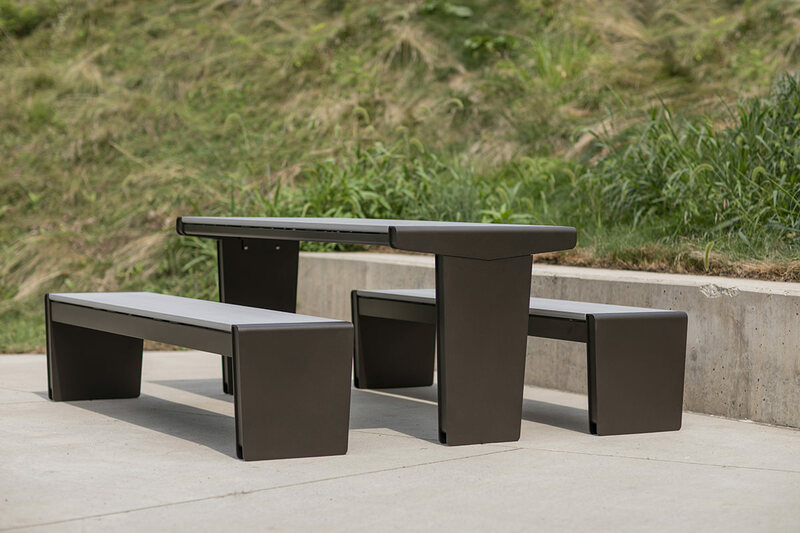 Ideal for public spaces of all kinds, Vector’s durable materials and construction suit the most active gathering areas—whatever direction your seating needs take. To see where Vector can take you, check out our Vector Family page.